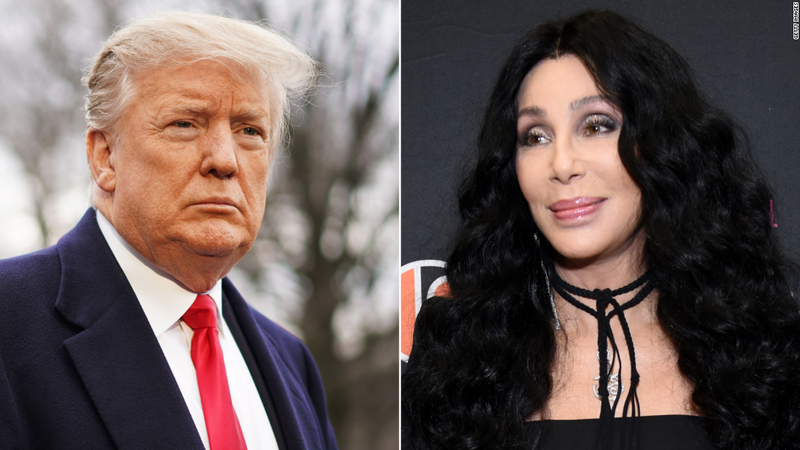 Trump said he "finally" agrees with Cher, who departed from her usual anti-Trump tweets over the weekend to voice her concerns about bringing more immigrants to Los Angeles, when there are already so many citizens there living in poverty. Cher tweeted Sunday: "I Understand Helping struggling Immigrants, but MY CITY (Los Angeles) ISNT TAKE CARE OF ITS OWN.WHAT ABOUT THE 50,000 + Citizens WHO LIVE ON THE STREETS.PPL WHO LIVE BELOW POVERTY LINE, & HUNGRY? If My State Can not Take Care of Its Own (Many Are VETS) How Can It Take Care Of More? " But the President has consistently called for cuts to the social safety net, despite his proclaimed agreement with the iconic singer . 1; programs which Trump has vowed to protect from cuts since he was on the campaign trail. It also outlines cuts to food stamps and housing assistance. They may be eligible for some programs "in dire situations," according to the National Immigration Forum, a group that advocates "for the value of immigrants and immigration to our nation." Trump has long railed against "sanctuary" policies, and in response to reports of the latest considered moves, a spokeswoman for House Speaker Nancy Pelosi accused the Trump administration of "using human beings – including little children – as pawns in their warped game to perpetuate fear and demonize immigrants. " The term" sanctuary city "is a broad term generally taken to refer to locales that have limited cooperation with federal immigration enforcement, and many of the largest cities in the country have such policies in place. And though Trump on Monday signaled that he agreed with the singer's concerns about moving migrants who can no longer be detained by immigration authorities to so-called sanctuary cities and states, he indicated that same day that he'll be going through with a plan to do just that.